The aim of the new features is to extract and use data generated in the daily operation of factories so that it can be used to optimize the processes and analyzed to enable knowledge based decision making. In the release, Lantek has included over 60 new features focused on production management and the integral automation of technology. 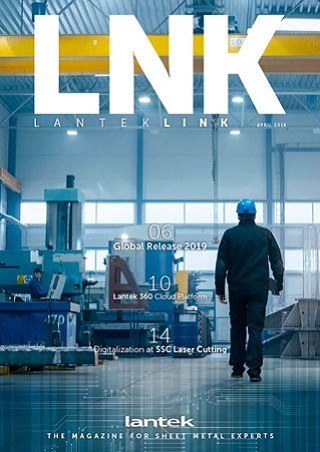 “In the current connected world, there is little doubt that data is the raw material that enables progress in manufacturing development, adding value and providing a competitive advantage in the market”, says Asier Ortiz, Technical Director of Lantek (CTO). “With this in mind, a major part of Lantek’s R&D effort has been aimed precisely at how to obtain quality data from different vectors to allow the integral control and management of any cutting machine and process. This enables us to provide global visibility, raise the production levels and increase agility, while reducing complexity”. Lantek has taken a new step in order to attend to the needs of a market that demands greater efficiency in processes and time saving on common tasks. Continual collaboration with its clients has resulted in over 40 general improvements within its popular Lantek Expert CAD-CAM 2D sheet metal cutting software. These include innovative technology for managing the destruction of holes, skeletons, and remnants, to assist the operator in the evacuation of finished parts. Automated processes have also been introduced to simplify workflow. By automating tasks, routine processes are concatenated and nesting groupings can be improved according to the customer’s needs. Lantek has also optimized data collection and control capabilities, increasing its cutting machine database, which, at present, includes over 1,200 models from practically every manufacturer on the market, as well as improving the quality of production data collected. 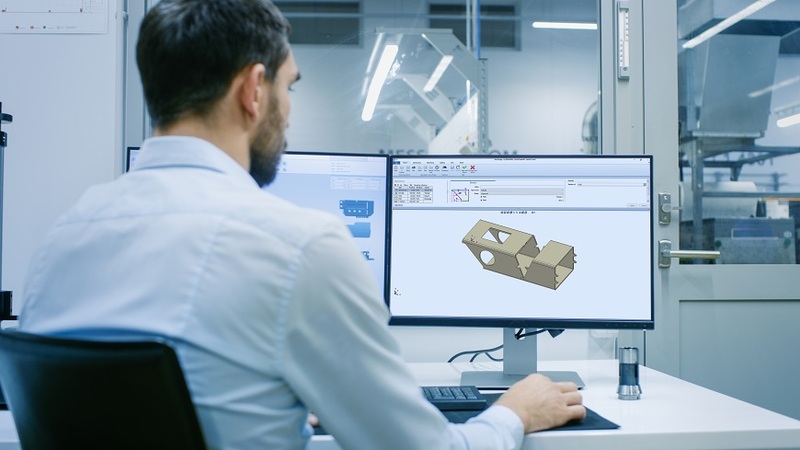 For improved integration and management of 3D models for the cutting and bending process, the 2019 version has been enhanced with the integration of the main CAD systems. This important development increases the possibilities for working with programs and files incorporating all of the main 3D graphic formats that are currently on the market. The system can now also manage different bending parameters for each operation, such as bend length, bend angle, bend radius, K-factor, special bends, rotation or tool change and is able to generate STL files (which allow for 3D part viewing); DXF files, which can generate CNC code; and LSTC files, with all the bending information. The 2019 version incorporates new machine models, and includes the latest different methodologies for laser tube cutting. Optimized cutting depends on the mechanical capacity of the machine and, for the operator, simplification of cutting management, management of remnants and the evacuation of the part. Adequate production management and planning is one of the keys to achieving success in manufacturing processes in the factories of the future. Lantek MES incorporates a total of 19 highly significant new features, with the objective of finding new ways to optimize production. Users will now be able to see production planning fully and in real time in different views, sequences or Gantt charts, thanks to the new Lantek MES Monitoring module.Thesimplicity, power, and immediacy of this module keeps daily production always in the spotlight. Added to this is a series of general efficiency improvements: nesting with sheet metal selection, entire production traceability, data collection and improvement of data quality in more ranges of machines, reports, and filters, amongst other enhancements. “Our only aim with this full repertoire of improvements is to give Lantek solutions new power to help production managers even more quickly and easily. With the data tracking and analysis that we can carry out, we are ready to bring intelligent manufacturing closer to a sector that needs to move towards Industry 4.0 to remain competitive. To make this a reality, we have transformed our clients’ needs into powerful manufacturing and management tools. This update is truly worthwhile.” says Asier Ortiz, Technical Director at Lantek. Lantek is a multinational which is leading the digital transformation of companies in the sheet metal and fabrication industry. With its patented manufacturing intelligence software, it enables factories to be connected, turning them into Smart Factories. It rounds off its range of services with CAD, CAM, MES and ERP solutions for companies that manufacture parts from sheet metal, tubes and profiles using any cutting technology (laser, plasma, oxycut, waterjet, shearing and punching). Founded in 1986 in the Basque Country (Spain), one of the main European hubs of machine tool development, Lantek enables the integration of sheet metal and metal processing technologies using the most advanced manufacturing management software. The company is currently the outstanding leader in its sector thanks to its capacity for innovation and commitment to internationalization. It has a strong international presence with more than 21,000 customers in over 100 countries and 20 offices in 14 countries, as well as an extensive network of distributors. In 2017, its international business contributed to 86% of its revenue.